Located south of Romania, my country, Bulgaria is a lovely European country. 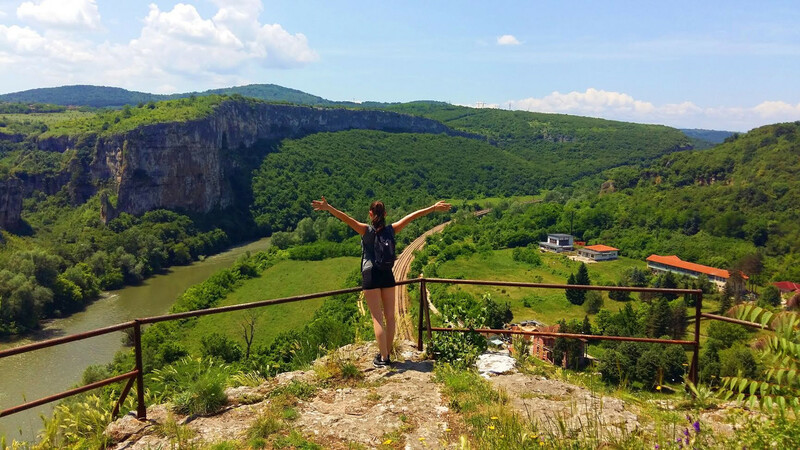 It is, in fact, the first one I’ve visited – I went for a short trip in Veliko Tarnovo:D. Today I’m inviting you to learn a thing or two about this country as Bilyana, travel blogger at Owl Over The World, shares 45 facts about Bulgaria. 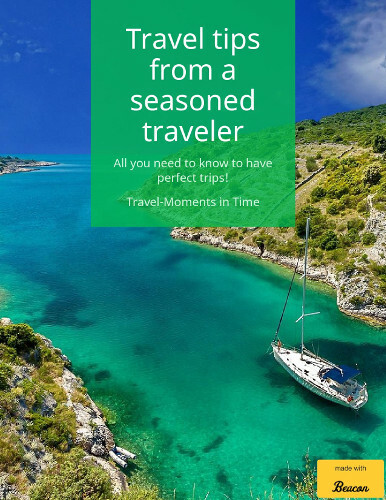 I have to say: many of them were new to me – so make sure you read all these interesting/fun things about this country, and don’t forget: I have more travel curiosities and quirky things for you on the blog! Bulgaria is a beautiful country with amazing nature, lovely villages, friendly people, delicious food, and it’s extremely affordable. The country has a rich history and well-preserved traditions. However, many people haven’t even heard about Bulgaria although they should. 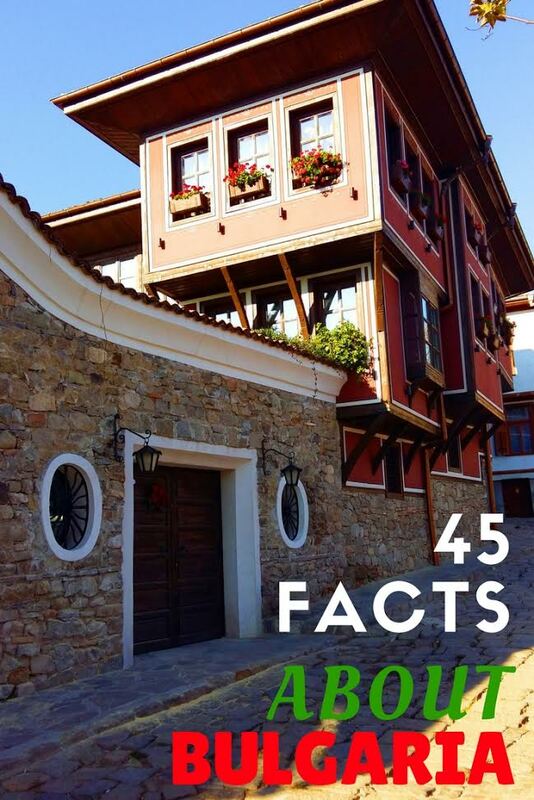 Here are 45 facts about Bulgaria – a wonderful country. 1. Bulgaria is one of the oldest European countries established in 681 AD. 2. Since then Bulgaria is the only one who hasn’t change its name. 3. Bulgaria ranks third in Europe for the number of its valuable archeological monuments after Italy and Greece. 4. Alexander Nevski is the oldest autocephalous Slavic orthodox church in the world. 5. The Bulgarian army has never lost a single flag in battle. 6. The Cyrillic alphabet was invented by two Bulgarian monks – Cyril and Methodius back in 9th century. 7. The Cyrillic alphabet became the third official alphabet of the EU after the accession of Bulgaria to the EU on January 1, 2007. 9. The ancient Bulgarian calendar was declared as the most accurate in the world by UNESCO in 1976. 10. 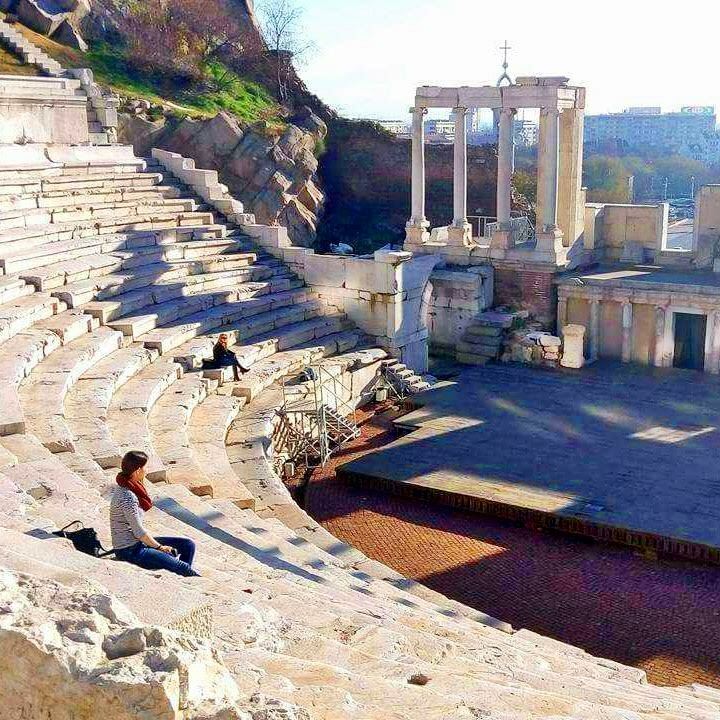 Plovdiv is Europe’s oldest inhabited city. READ Budget Destinations 2013: where are you heading to? 11. Bulgarians are smart. The country takes second place in the world in international IQ tests and SAT scores. 12. Bulgaria is fourth in the world in per capita university education. 13. The Bulgarian folk song “Izlel e Delyu Haydutin” was sent in space on the board of the US Space Probe Voyager I. 14. Almost one-third of Bulgaria is cover in forests. 15. The Bulgarian Air Force developed the first air-dropped bomb in military history. That was during the First Balkan War, the bomb was used on 16 October 1912. 16. The first woman in the world who participated in a military flight was the Bulgarian Rayna Kasabova. 17. The highest peak on the Balkan Peninsula is Musala peak. It’s located in Rila Mountain, Bulgaria, rising at 2925m above the sea level. 18. Bulgaria was the home of the Thracians, the certain hero called Spartacus was born in Bulgaria. 19. Bulgaria produced as much as 85% of the world’s rose oil. The roses are grown in Bulgaria’s Rose Valley (Kazanlak) are an essential ingredient in the perfumes production. 20. The bagpipe (known as ‘’gaida’’ in Bulgaria) is a traditional Bulgarian instrument. The other nations that use the bagpipe as an instrument are Ireland and Scotland. 21. Bulgarian yogurt is the best in the world, trust me. The Lactobacillus bulgaricus, which gives the unique taste of yogurt can be found only in Bulgaria. 22. Bulgaria is the second country in Europe with the highest number of natural mineral springs. Bulgaria is heaven for SPA. 23. Bulgarians nod for no and shake their heads for yes. 24. ‘’Name Days’’ are celebrated in addition to birthdays and even more valued by some people. 25. Bulgarian welcome the spring with Baba Marta. Every year on 1 March Bulgarian give a Martenitsa ( white and red bracelets) to each of their friends to congratulate them on the beginning of the spring and for health. The Martenitsa is wearing until you see a stork or a blossoming tree. 26. Bulgarians are spilling water in front of the door for success. When a member of the family leaves home for a special event like the first day of school, prom, before an exam, at weddings, etc. the other members of the family are spilling water in front of the door before he leaves with the word ‘’may your success flows like water’’. 27. Bulgarian celebrating Trifon Zarezan instead of Valentine’s Day. 14 February is a Wine-growers Day and people celebrate the love for wine. 28. World’s first digital wristwatch was developed by the Bulgarian, Peter Petroff. 29. The first electronic computer was invented by John Vincent Atanasoff who has a Bulgarian origin. 30. Mark Zuckerberg, the creator of Facebook also has a Bulgarian origin. He is named after his Bulgarian grandfather – Marko, who emigrated from Bulgaria in 1940. 31. The Bulgarian national football team finished fourth in the 1994 World Cup. 32. The Bulgarian Dan Kolov is the first wrestler in the world with 1500 wins and 2 lost matches. 33. For 29 years so far no woman has managed to beat the record of the Bulgarian Stefka Kostadinova for the high jump of the World Championships in Rome with sensational 2.09 meters. 34. Bulgaria is one of the biggest wine exporting countries in the world. Wine production has a long history dating back to Thracian times. 35. Bulgaria ranks third in Europe in biodiversity, with a number of rare and endemic species. 36. The Bulgarian flag consists three colors: white, green and red, laid horizontally from top to bottom. The white is a symbol of hope, the green is a symbol for the wonderful nature, and the red is a symbol of the blood soaked into our lands. 37. For more than 700 years, Bulgaria was twice its current size, reaching three seas – the Aegean, Adriatic and Black sea. 38. There are 142 resorts in Bulgaria – 26 marine resorts, 56 mountain resorts, and 58 balneological resorts. 39. 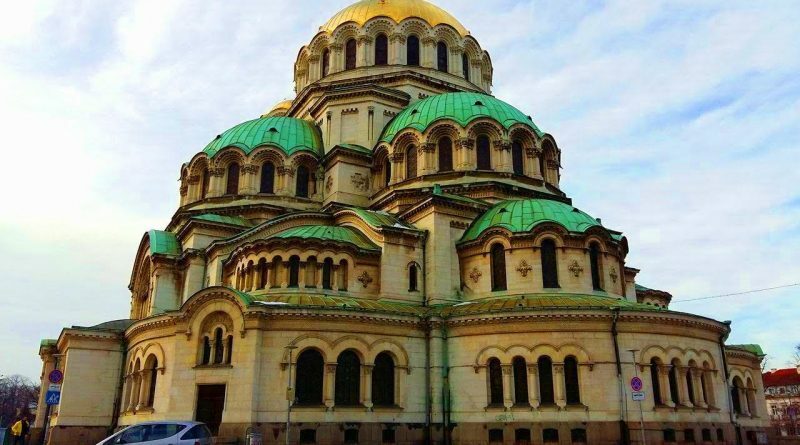 There are 9 UNESCO sites in Bulgaria. 7 cultural sites (Rila Monastery, Boyana Church, Ancient City of Nessebar, Thracian Tomb of Kazanlak, Madara Rider and the Rock-Hewn Churches of Ivanovo) and 2 natural sites (Pirin National Park and Srebarna Nature Reserve). 40. Bulgaria has the world’s largest IMAX 3D cinema. 41. Bulgaria has one of the fastest internets in Europe. 42. 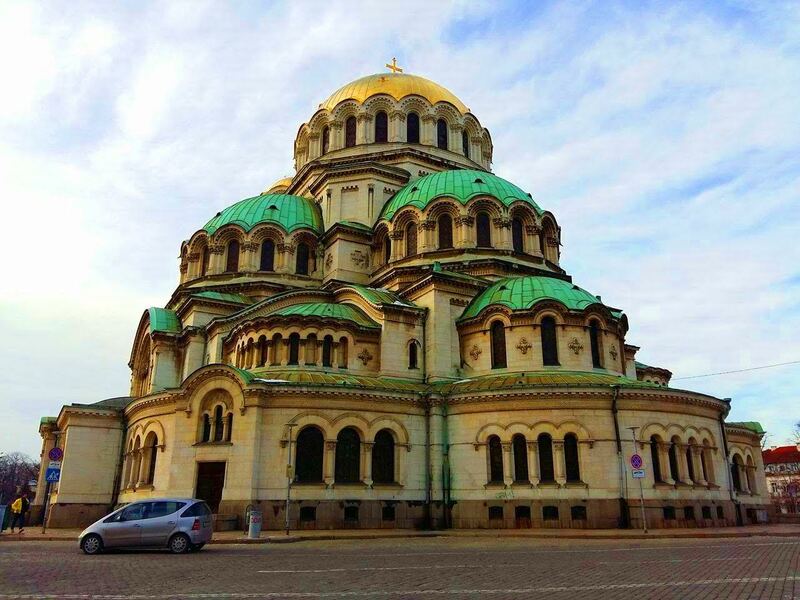 Sofia is one of the most affordable European capitals to visit. 44. Bulgarians still naturally grows their veggies and fruits. 45. Sofia, the capital of Bulgaria is situated just 15 minutes away from Vitosha Mountain. 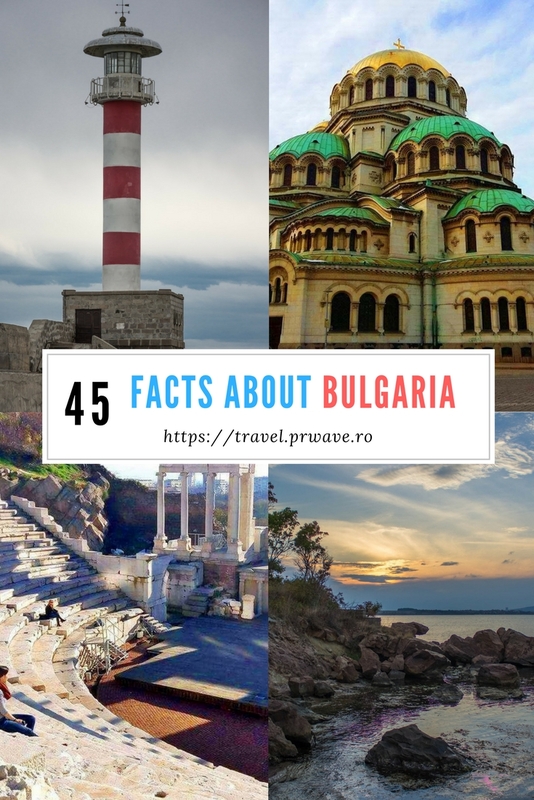 Bulgaria is great country absolutely worth visiting and all these facts are reasons to book your trip ASAP. Bilyana is a travel blogger, mountain lover, and full-time dream chaser. She follows her dreams and wants you to do the same. Her goal is to help you to travel more & worry less and inspire you to get out of your comfort zone and see this beautiful world we live in one adventure at a time. You can follow her adventures on her blog, Instagram, Pinterest and Facebook. Very cool facts! My husband is going on an archaeological dig there this summer. Awesome blog post Thank you sharing it. I visited multiple sites except the audio quality for audio songs current at this site is actually marvelous. Wonderful, what a website it is! This webpage presents helpful information to us, keep it up. You made some decent points there. I regarded on the web for the issue and located most individuals will go together with along with your website. That is the appropriate weblog for anybody who wants to search out out about this topic. You notice a lot its almost laborious to argue with you (not that I really would want…HaHa). You definitely put a brand new spin on a subject thats been written about for years. Nice stuff, just great! I’m impressed, I have to say. Actually hardly ever do I encounter a blog that’s both educative and entertaining, and let me tell you, you have hit the nail on the head. Your thought is outstanding; the problem is something that not sufficient persons are speaking intelligently about. I’m very happy that I stumbled across this in my seek for one thing relating to this. Good post. I learn something more challenging on completely different blogs everyday. It’ll always be stimulating to read content material from other writers and apply somewhat something from their store. I’d choose to make use of some with the content on my blog whether or not you don’t mind. Natually I’ll provide you with a link in your internet blog. Thanks for sharing. I used to be more than happy to seek out this web-site.I wished to thanks in your time for this glorious read!! I definitely having fun with each little little bit of it and I’ve you bookmarked to check out new stuff you blog post. Aw, this was a very nice post. In idea I want to put in writing like this moreover – taking time and actual effort to make an excellent article… however what can I say… I procrastinate alot and in no way seem to get something done. This web page can be a walk-through for all the information you wanted about this and didn’t know who to ask. Glimpse here, and you’ll undoubtedly uncover it. An impressive share, I just given this onto a colleague who was doing slightly analysis on this. And he in fact purchased me breakfast as a result of I found it for him.. smile. So let me reword that: Thnx for the treat! However yeah Thnkx for spending the time to discuss this, I feel strongly about it and love studying more on this topic. If potential, as you change into expertise, would you thoughts updating your weblog with extra details? It is highly helpful for me. Massive thumb up for this blog submit! I’m impressed, I must say. Actually rarely do I encounter a weblog that’s both educative and entertaining, and let me inform you, you may have hit the nail on the head. Your concept is outstanding; the problem is one thing that not sufficient persons are speaking intelligently about. I’m very comfortable that I stumbled across this in my search for something relating to this. An impressive share, I simply given this onto a colleague who was doing a bit analysis on this. And he in truth bought me breakfast because I found it for him.. smile. So let me reword that: Thnx for the treat! However yeah Thnkx for spending the time to debate this, I feel strongly about it and love studying extra on this topic. If doable, as you turn into experience, would you thoughts updating your weblog with more details? It’s extremely useful for me. Huge thumb up for this blog publish! Spot on with this write-up, I truly assume this web site wants rather more consideration. I’ll probably be again to learn far more, thanks for that info. I’m impressed, I must say. Actually hardly ever do I encounter a weblog that’s each educative and entertaining, and let me tell you, you have hit the nail on the head. Your concept is outstanding; the issue is something that not enough individuals are talking intelligently about. I’m very comfortable that I stumbled across this in my seek for one thing regarding this. The subsequent time I read a blog, I hope that it doesnt disappoint me as much as this one. I imply, I do know it was my choice to read, but I really thought youd have one thing attention-grabbing to say. All I hear is a bunch of whining about something that you would repair in case you werent too busy searching for attention. I’m impressed, I need to say. Really hardly ever do I encounter a weblog that’s each educative and entertaining, and let me tell you, you have got hit the nail on the head. Your thought is outstanding; the problem is one thing that not sufficient individuals are speaking intelligently about. I’m very blissful that I stumbled throughout this in my seek for something relating to this.